SS UNS S32100 / S32109 Washer Heavy Hex Nuts, Stainless Steel DIN 1.4541 / 1.4878 Nylon Insert Nut, 321 SS Double Ended Stud, Stainless Steel 321H Threaded Rod Manufacturer & Stockist in India. Asiad Steels is one of the known manufacturers of SS 321 / 321H Fasteners, which is made in line through international norms by using high class of raw material by means of the aid of present and cutting-edge technology at our firm sites. 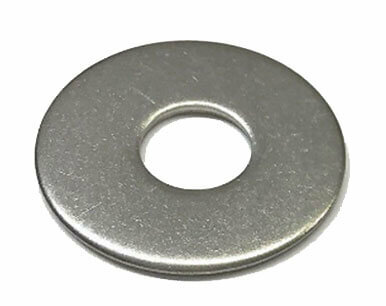 We provide the same in dissimilar types like Stainless Steel 321 & 321H Nuts, Stainless Steel 321 & 321H Bolts, Stainless Steel 321 & 321H Washers, and Stainless Steel 321 & 321H Stud Bolt. With respect to their widespread array of applications, these Stainless Steel UNS S32109 Fasteners are being used for household along with manufacturing functions. These Stainless Steel UNS S32100 Fasteners are made-up by using higher quality of raw material that finds its application in a number of commercial and industrial purposes. Made accessible in a range of finishing and sizes, these Alloy 321H Fasteners are very much demanded for their corrosion resistance and dimensional precision. These Alloy 321 Fasteners presented by us are being factory-made from soaring grade of steel to provide soaring steadiness. These SS 321H Fastenershave extensive usage in diverse construction work for the reason that they are used to join two joints firmly. Mass-produced by using graded alloy, these SS 321 Fastenersare widely used while joining two products as on. 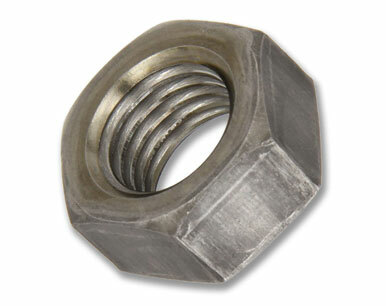 We are a notable firm in the industry who is involved in offering Stainless Steel 321H Fasteners. In agreement by means of customers' different demands, we bring forward an eminent range of Stainless Steel 321 Fasteners that is obtainable in a range of dimensions. The presented products are obtainable in a number of sizes and other allied specifications. 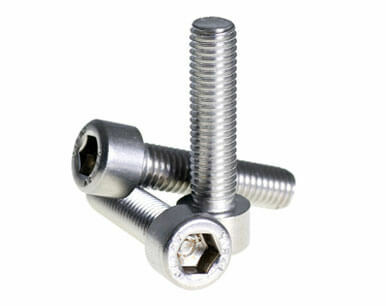 Buy SS 321 / SS 321H Fasteners at cost-effective price from us. ASTM A 193 / ASME SA 193 Stainless Steel Fasteners, Stainless Steel 321 Nuts, SS 321H Stud Bolt High Tensile Fasteners, Stainless Steel 321 Washers, SS 321H Bolts Supplier & Exporter in Mumbai, India. We are Exporter of Stainless Steel 321 Fasteners in Worldwide Such as India, Serbia, Ghana, Iraq, Mexico, Bangladesh, New Zealand, Qatar, Gambia, Algeria, Egypt, Australia, Denmark, Iran, Libya, Chile, Ukraine, Indonesia, United Arab Emirates, Venezuela, Ecuador, Iran, Greece, Lithuania, Gabon, Zimbabwe, Bhutan, Angola, Chile, Sweden, Azerbaijan, Finland, France, Namibia, Bulgaria, Israel, Kazakhstan, India, Ireland, Croatia, Belarus, Italy, Kenya, Macau, Morocco, Kuwait, Malaysia, Mongolia, Taiwan, Philippines, Pakistan, Trinidad & Tobago,Tunisia, Afghanistan, Peru, Nigeria, Sri Lanka, Bahrain, Vietnam, China, Costa Rica, Nepal, Nigeria, Japan, Puerto Rico, Portugal, Colombia, Poland, Norway, Austria, Oman, Bolivia, Hungary, Jordan, Brazil, Mexico, South Africa, Germany, South Korea, Lebanon, Argentina, Thailand, Russia, Estonia, Poland, Singapore, Switzerland, Saudi Arabia, Yemen, Tibet, Canada, United States, Slovakia, United Kingdom, Spain, Netherlands, Hong Kong, Czech Republic, Romania, Belgium, Turkey. We are Suppliers of SS 321H Fasteners in India Such as Mumbai, Montreal, Bogota, Granada, Caracas, Gimhae-si, Visakhapatnam, Aberdeen, Kuala Lumpur, Karachi, Sydney, Jamshedpur, New Delhi, Ho Chi Minh City, Jeddah, Petaling Jaya, Edmonton, Thane, Muscat, Atyrau, Ankara, Moscow, Brisbane, Hong Kong, Seoul, Baroda, Ernakulam, Geoje-si, Manama, Rajkot, Melbourne, Vadodara, Bhopal, Coimbatore, Nashik, Cairo, Port-of-Spain, Pimpri-Chinchwad, Doha, Singapore, Ahvaz, Bengaluru, Madrid, Secunderabad, Al Khobar, Milan, Nagpur, Pune, Hanoi, Mexico City, Kolkata, Houston, Los Angeles, Kanpur, Chennai, Ahmedabad, Sharjah, Calgary, Lahore, Ulsan, Hyderabad, Faridabad, Busan, Vung Tau, New York, Kuwait City, Colombo, Perth, Ranchi, Dallas, Dammam, Rio de Janeiro, Howrah, Algiers, Istanbul, Ludhiana, Toronto, Thiruvananthapuram, Gurgaon, Mumbai, Bangkok, Chiyoda, Indore, Jakarta, Haryana, Navi Mumbai, Surat, Tehran, Chandigarh, Al Jubail, Courbevoie, Jaipur, London, Lagos, Dubai, Riyadh, Abu Dhabi, La Victoria, Santiago, Noida.